Fall in Vancouver might mean a lot of rain, but it also means HOCKEY SEASON! 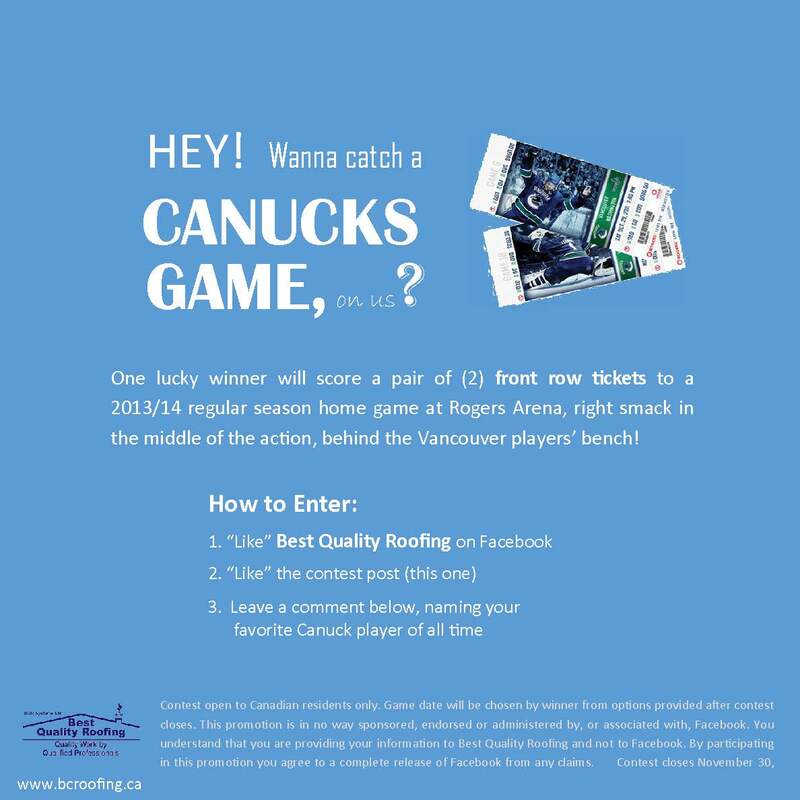 If you’re a fan of our Vancouver Canucks and want to catch a game from behind the players’ bench, you don’t want to miss our Facebook contest! 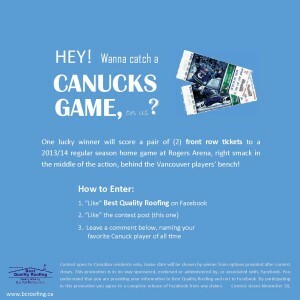 Click below and slide on over to our Facebook page to enter! *Contest closes November 30, 2013; winner announced December 2, 2013. Post by Best Quality Roofing.